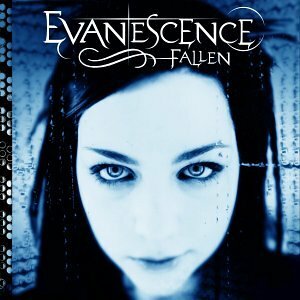 Until I heard Fallen by Evanescence, I’d thought that “goth-metal” (for want of a better name) was a purely European phenomenon. Now, it seems, America and Britain might be sitting up and paying attention. Evanescence, though, aren’t an obvious choice to champion goth-metal’s assault on the mainstream: Amy Lee, the band’s singer, definitely has the requisite beautiful voice, but unfortunately the songs don’t do it justice. Indeed, the extremely polished production fails to obscure the lack of structure and imagination displayed by most of the tracks. Too often, the likes of The Gathering and Lacuna Coil have done it before, and done it better. When they’re good, however, as on “My Immortal”, Evanescence are extremely affecting. In any case, I hope that the sudden mainstream success of Evanescence’s album and the single “Bring Me To Life” in the American and British charts presages a general increase in the popularity of this subgenre. It’d be great to hear things that aren’t rubbish on the radio! I really dislike the shouty bits within "Bring Me to Life", far too Linkin Bizkit. There was an excellent acoustic version (of it) on the Live Lounge segment of Jo Whiley's BBC Radio 1 Show - sadly not yet available in the archives. It proved a great showcase for Amy's voice, but not as good as some of the album art/promo pictures do for her(?) face... Pretty pale girls with dark eye make-up mmmMMmmm! Still not quite my cup of tea though. By the way, I'd recommend Nighttime Birds by The Gathering if you want to hear something similar but with possibly even nicer vocals, no shouty bits, and much better music. It's become one of my favourite albums over the last year or so. There are some deeply strange "opera metal" bands like After Forever around too. The excellent acoustic version of "Bring Me To Life" has now been added to the BBC site here.